Last year I got dowsed by one of these sprayers as it turned at the end of a row and did not turn off the sprayer and I rode through it like a dufus. I just assumed that the driver of the tractor would turn off the sprayer when he reached the end of the row. He did nothing to stop spraying the whole road and I was covered in what smelled like roundup. I rode home and took a shower and washed my riding gear. One of the hazards of riding down country roads is getting exposed to fertilizers that farmers put on crops. 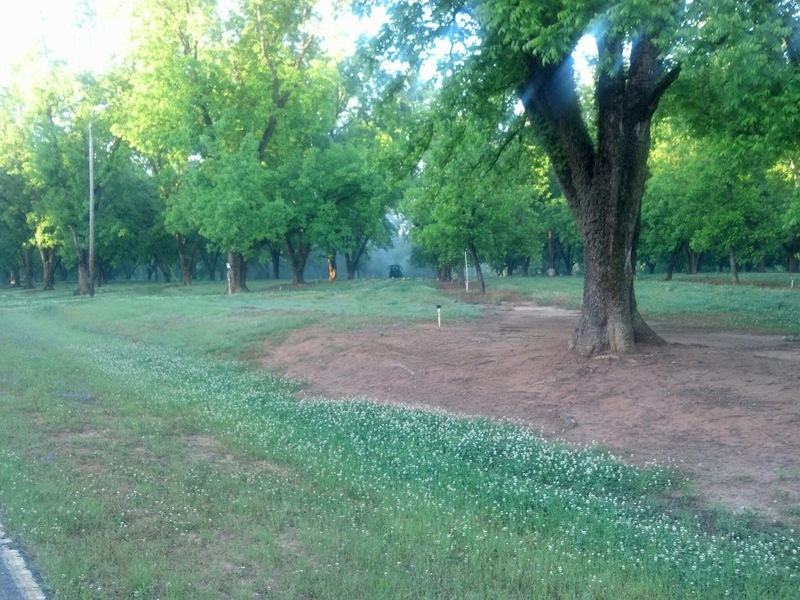 I love the pecan groves, but I pay attention to the loud noise that I hear when the farmers are spraying the groves. These pictures were taken on my morning commute down Mud Creek Road. 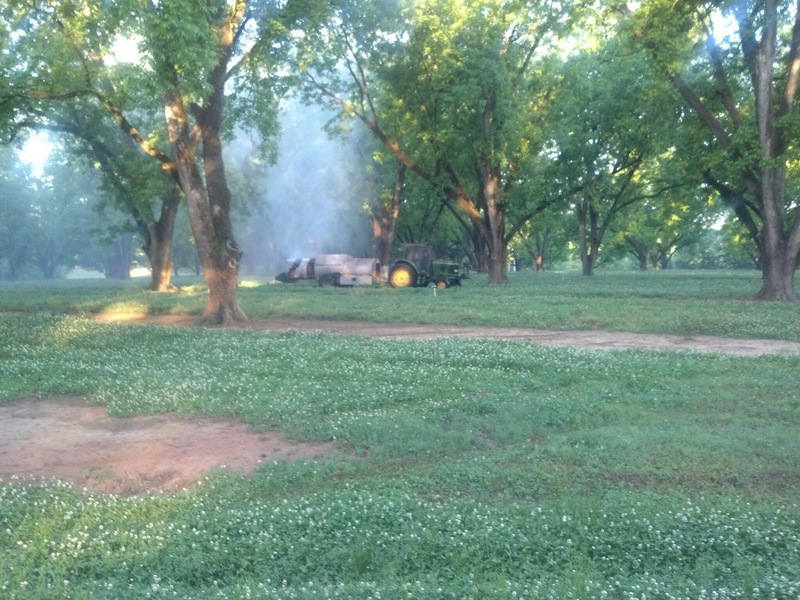 there were two tractors pulling these sprayers that were targeting their chemicals at the bark and the under side of the leaves of the trees.